Underwriters in an investment bank are tasked with ensuring that securities issuers deal with a lesser risk and charge a premium for their services. The underwriting process is undertaken by the larger institutions such as the banks, insurer or an investment house. They use the process to evaluate customer eligibility for their products such as insurance, loans, mortgage and credit. The underwriters are tasked with taking the big evaluation risk across several industries. Investment banks are well known for their role in most of the Initial Public Offerings (IPOs). This is the point when a privately-owned company decides to sell their equity as shares on the stock exchange. The process involves transfer of the company stock in exchange of raising capital or other stages of financing. Investments banks are tasked with overseeing the process from the early stages till completion. Sometimes the investment banks work in collaboration with other financial institutions depending on the nature of the IPO. The investment bank will advise on setting the stock price such that the company does not set the share price too high and fail to sell enough shares and raise enough money. 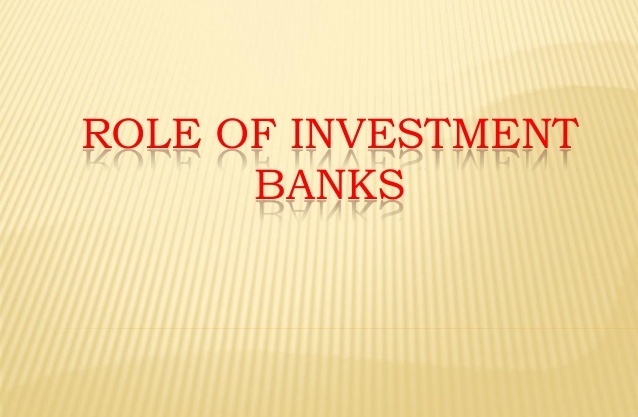 In return the investment bank guarantees the risk involved in issuing the securities. The investment risks are in all areas of investment including government offered securities. To counter the risks, the underwrite takes responsibility of the process and at that point charge a premium for their service. In simple terms, the underwriter assumes the securities risk from the issuer and in turn makes a premium by selling the securities in the exchange markets. The process involves upfront payment to the stock issuer, though in most cases the issuer does not get the actual value of their securities but in essence they transfer the risk to the investment bank who are in a better position to find enough buyers for the securities. The investment bank makes money by selling the securities in the markets at a higher price than what they bought from the issuer. Within the markets, there are different investment banks and financial institutions involved in the underwriting process of securities although the deal details vary depending on the securities type and market regulations. However, the principal responsibility of the underwriter remains taking off the risk form the issuer and making a profit by selling the securities at a premium. Investment banks are the key liquidity providers for the security markets, they do so by submitting asks and bids on the respective securities. In most cases the stock price is determined by the ability to match the sellers and the buyers. The sellers submit a price which they are willing to sell their stock for while those who want to buy also submit their buying price depending on the number of shares. Both parties then negotiate for a center ground in terms of pricing which is determined when the bid price is equal to the ask price, this completes the transaction and sets the stock price. The stock bid and buy process is usually transacted in a very short time and in the major stock exchanges there are more than enough people willing to buy or sell depending on the stock type. The process is relatively easy if there is a slight difference in the bid and ask price. However, there are situations where the bid price does not come close to matching the lowest as price, this makes it hard for a transaction to complete. The investment banks are then tasked with the process of setting the bid and ask prices so that disparity is not such big not to complete the transactions. They provide liquidity in the markets effectively streamlining the process. There are specified market markets in the larger stock exchanges who are tasked with the liquidity setting responsibility. The investment banks have duties assigned to the different departments within the firm, there are individuals tasked with the advisory responsibility, this mostly deals with mergers and acquisition (M&A) of businesses. In most cases the investment bank facilitates the process rather than acting as a consultant. Dedicated bankers are mostly offered to companies more than individuals. The mergers and acquisition process involve the selling, buying and dividing of different firms as well and combination of firms. In cases such as when a company wants to sell a less profitable division of their company, they will contact an investment bank to facilitate the process of finding a potential buyer. The same would happen in instances where a company wants to buy a division of another company. The investment banks provide the advisory services for both sides of the buy and sell process and well as division of companies. The process of selling a company through an investment banks involves the development of a pitch book which will contain all the relevant information about the company being sold such as the financial and management information. The pitch book is then used as a brief about the company seeking for buyers. The buy or sell process is complex and involves more than just the pitch book, after the introduction, the two involved companies then agree on the terms and involve the boards who also have to set and agree on mutual terms. The terms include every tiny detail including the company debts and employee details. Both parties must agree on how to transfer of share these responsibilities. Investment banks also play the role of matching a company with an investor. This creates a diverse role for the investment bank besides working with other stock exchange traded banks. In some instances, investment banks work with private firms in setting up IPOs while at the same time they provide the inverter matching role. The investment banks fill the gap especially when these private firms might not be in a apposition to go for an IPO while at the same time their structure or capacity might not meet the criteria set by the investment bank, they then act a guarantor and facilitate the process of raising capital from other sources such as private or debt financing.